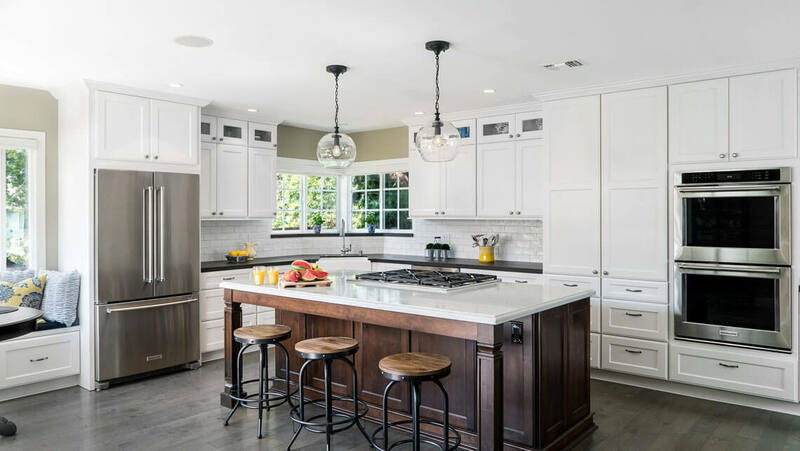 Incorporating the character of this Newport Beach home into the new kitchen design was a fun and creative aspect to this remodel. The cabinetry includes all drawers for easy access and organization. 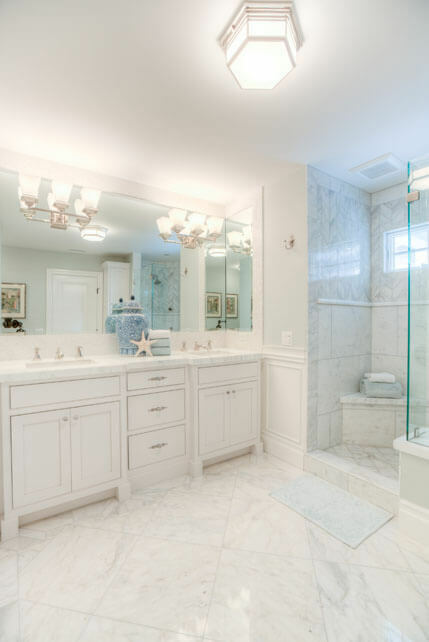 A simple guest bathroom design creates an bright, inviting space suggesting comfort.